In the highly competitive market environment of the chemical industry, only one thing counts: competitiveness. As a reliable partner of the chemical industry, Delikon offers flexible cable protection solutions that enable you to make best use of your automation advantages. Processes in the chemical industry have to meet the most stringent requirements. With our well-founded know-how, we provide high-quality, reliable Heavy Series Over Braided Flexible Conduit and Fittings system which ensures that sensors, transmitters, process instrumentation and ariable speed drive unit cables are efficiently protected. The proliferation of electronic devices in the chemical industry has caused electromagnetic interference and radio frequency interference to become important concerns. 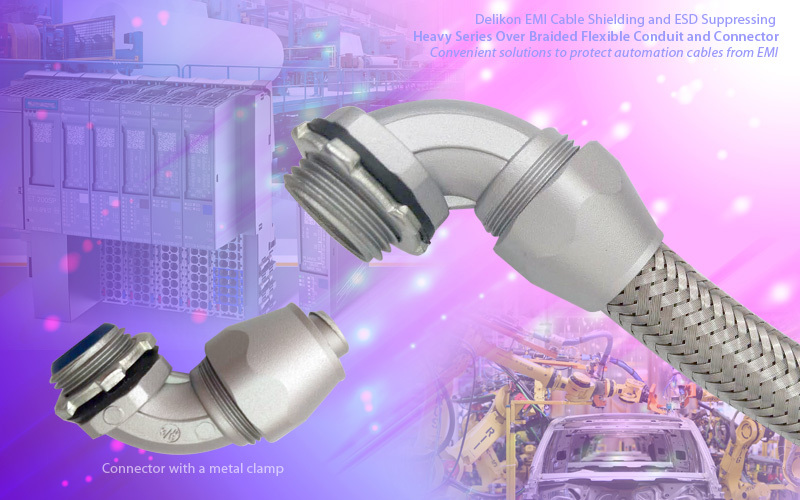 Delikon Heavy Series Over Braided Flexible Conduit and Fittings provide cost-effective electromagnetic interference shielding solutions for the electronic devices cables. As a global market leader in the field of automation cable management, we have the right answers to meet the challenges of the process industry.